BIORED (Reg. nr. V20924, act 36/1947) has been scientifically proven to act, both in vitro and in vivo, as an anti-oxidant as well as an antiradical. It has also been demonstrated that Biored’s antioxidant activity protects naturally occurring Alfa-tocopherol (Vit E), Retinol (Vit A) as well as Ascorbic Acid (Vit C) against depletion. This is further enhanced by it’s scavenging of free radicals, a function also associated with the above vitamins. This results in a vitamin sparing effect. BIORED is the trade name for a natural plant extract anti-oxidant. 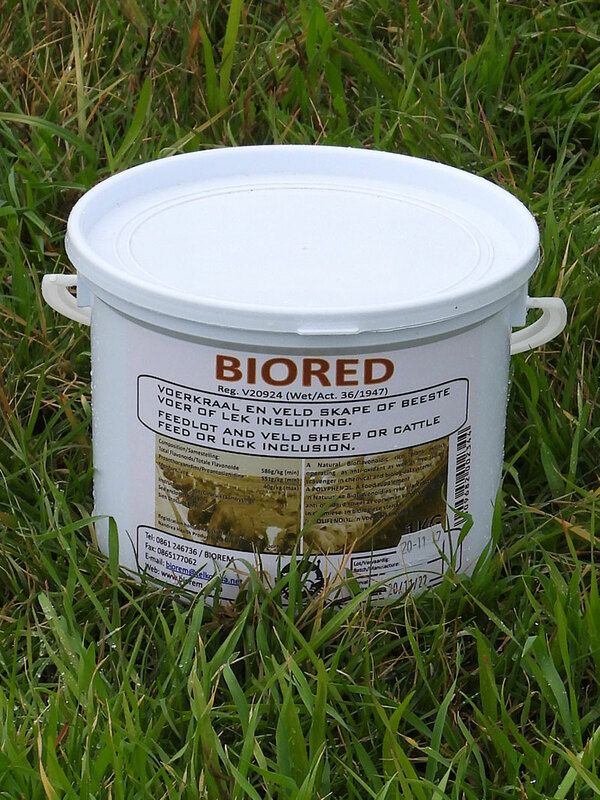 BIORED has been extensively tested in both ruminants and monogastric animals with beneficial results. In these trials different levels of BIORED supplementation were tested as well as the replacement of 50% of the vitamin A and E with BIORED in the ration. Growth and other parameters were measured.